In years past, demand for Apple's latest flagship phone was critical to the company's results over the holiday shopping quarter. That dynamic might be changing, however, as Apple's widening lineup of devices and services more than makes up for any tepidness in demand this quarter for its lead product, the $999 iPhone X. On Tuesday, Apple's stock fell 2.5 per cent to $170.57 after Taiwan's Economic Daily and several analysts suggested iPhone X sales in the fiscal first quarter would be 30 million units, 20 million fewer than initially planned by the company. The cut in the forecast was not confirmed, and the stock regained ground on Thursday, hitting $171.82 by midday. The mean revenue estimate for the holiday quarter among 30 analysts remains at $86.2 billion, near the high end of Apple's forecast of $84 billion to $87 billion. Releasing two new models and keeping older ones have made Apple less dependent on its flagship product. 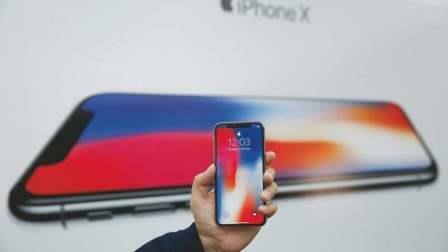 Apple shareholder Ross Gerber, chief executive of Gerber Kawasaki Wealth and Investment Management in Santa Monica, California, said the higher price and better margins on the iPhone X will reduce fears of a sales decline. While none is a runaway hit, collectively they are an important contributor, with Apple's "other products" segment growing 16 per cent to $12.8 billion last year. Customers who buy those add-ons are also likely to buy services from the App Store and Apple Music, part of Apple's services segment, which grew 23 per cent to $29.9 billion last year. "Ultimately, it will be this multi-device ownership" that will generate further revenue, said Carolina Milanesi, an analyst with Creative Strategies. Bob O'Donnell of TECHnalysis Research, said "hit products" still represent "an enormous amount of the company's overall value."